Posted June 29, 2017 by Rob Smedley & filed under Episodes. 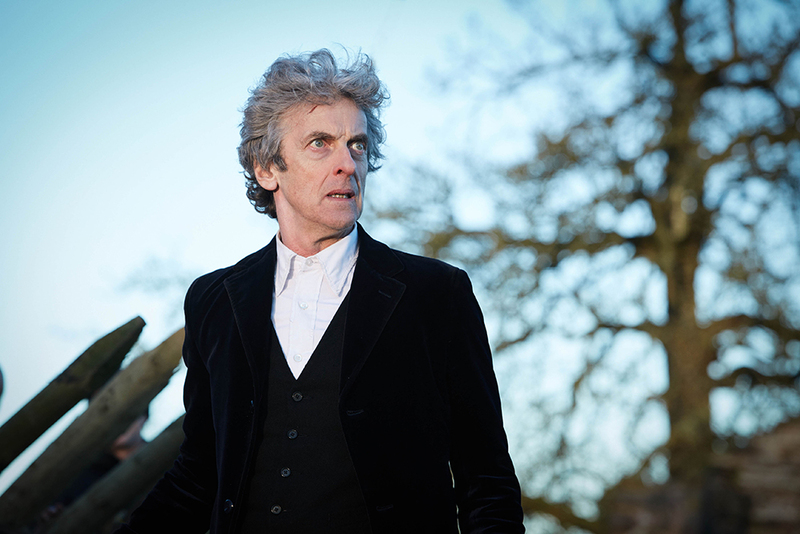 Here’s our spoiler-free Doctor Who season 10, episode 12 ‘The Doctor Falls’ review. Here we are then. Finale time. It’s not perfect, but it’s close. Oh so very close. Don’t expect perfection. Do expect plenty of perfect moments in it, however. As finales go, it’s far and away the best (and most cogent) in Twelve’s era. In fact it’s probably the strongest since ‘The Big Bang’. Oh screw it… Colours to the mast: it’s the best finale the returned show has had. ‘The Doctor Falls’ is everyone giving it all they’ve got. With that comes scenes that fans are going to delight in and theorise about for a long, long time. The space between here and Christmas is going to be a plethora of theories and question marks. The Doctor is caught; the filling in an enemy sandwich. Squeezed between the unceasing, advancing threat of the Cybermen, and the psychobitching of Missy and The Master, if it seems he’s desperately scrabbling to keep everyone alive, it’s because he is. Every act of bravery feels doomed. It brings out a side we’ve never seen in Capaldi’s Doctor; one best articulated in a beautiful, emotional speech that acts as the counterweight to his ‘Am I a good man?’ concerns at the beginning of his incarnation. We’re at the bookends of his life. This is a Doctor who knows who he is. And he really doesn’t want to go. Set against this struggle to live and do the right thing, there is an overpowering air of dread throughout ‘The Doctor Falls’. Partly, it’s because you know the end is coming for Twelve, partly because there’s the unrelenting threat from the Cybermen. There’s the revelation that Cybermen much prefer to convert kids over adults. Why? ‘There’s less to throw away.’ Back of the sofa time, little ‘uns! Actually, ‘The Doctor Falls’ is too busy to be scary. Last week was all the body-horror, this week it’s – believe it or not – something closer to a Western or a small scale War movie. There’s a quaint village preparing for attack and a Time Lord protecting it to his literal death. Hang on, we’ve encountered that before, haven’t we, Trenzalore? It’s one of two big borrows that Moffat has made from his own work. The other he’s pinched from another series finale, and is a big spoiler (although one a handful of theorisers predicted as far back as the start of series 10, so guess away). 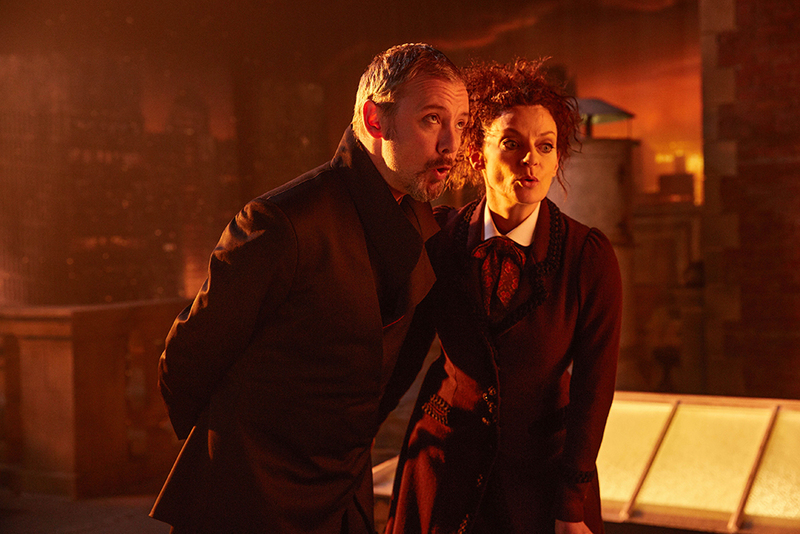 While The Doctor’s being all noble, Simm and Gomez’s performances create a vicious tango of witticisms, cruelty, and flirting between The Master and Missy. You could trim your Master beard on the dialogue, it’s that sharp. The pair are perfectly matched, both complementing (and even complimenting) one another rather than trying to steal the limelight. Their conversations feel at once like the classic Pertwee/Delgado sparring of old, and yet entirely fresh. They’re more than a match for The Doctor, but this is not Time Lord vs Time Lords. If you expect that, you’ve missed the point of what this series has been trying to do with Missy. Missy (or The Master) and The Doctor’s relationship isn’t about one trying to kill the other. Never has been. It’s about the former trying to piss the latter off and using other species as collateral damage. Axons, Sea Devils, Toclafane, Humans, Cybermen… They’ve all been the pieces in a grand galactic game of ‘screw you’. It’s the case here. Come at this episode with that shared history in mind and you’ll love it. That’s pretty much all I can say without the rest of this reading as ‘spoiler, spoiler, exploding Cybermen, spoiler, more explosions, spoiler spoiler and, er… spoiler’. There’s going to be a lot to unpack after, but surely that’s one of the chief delights of this show. The delights don’t get more chiefly than the finest cliffhanger NuWho has ever left you on. Really, it is. Dramatic, cheeky and – that most Doctor Who-ish of qualities – inspiring. Just when you think you can’t be surprised, Moffat fulfils his promise that the regeneration would be a bit different this time, and you get a major hint of how that will work come the Christmas special. It’ll leave you with a most enormous grin on your face, and the greatest annoyance in your gut that December 25th is still half a year away. You’ll be begging for something that can dilate time and help you get there a little faster. Hey, where’s a black hole when you need one?